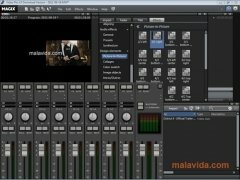 Professional video and audio editing isn't always done with expensive applications with thousands of features. 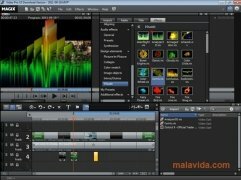 You can also use applications like Magix Video Pro X that can handle all the work we demand. This software allows us to save recordings in DV, HDV and AVCHD with professional quality. 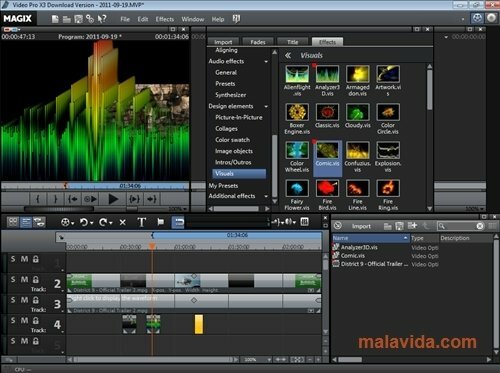 Furthermore, if necessary, Magix Video Pro X is capable of opening files created with Adobe After Effects or Jahshaka and in case we need a specific feature, we can add plug-ins to help us out. With this software, we can add effects, mount videos and edit them however we like. 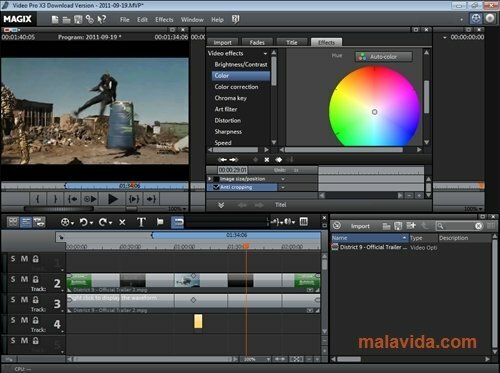 Its interface is very clear and relatively simple, as long as you aren't a newbie in the world of video editing. With regard to the audio, it includes a mixer that isn't bad at all and can even manage Dolby® Digital 5.1 audio that makes sure that everything will be able to be heard perfectly. Moreover, Magix Video Pro X offers us the chance to automatically upload the videos that we create to YouTube and Vimeo, which can be really useful with semi-professional or home videos.